Today I am pleased to welcome Margaret Dilloway to Great Thoughts’ Great Authors. 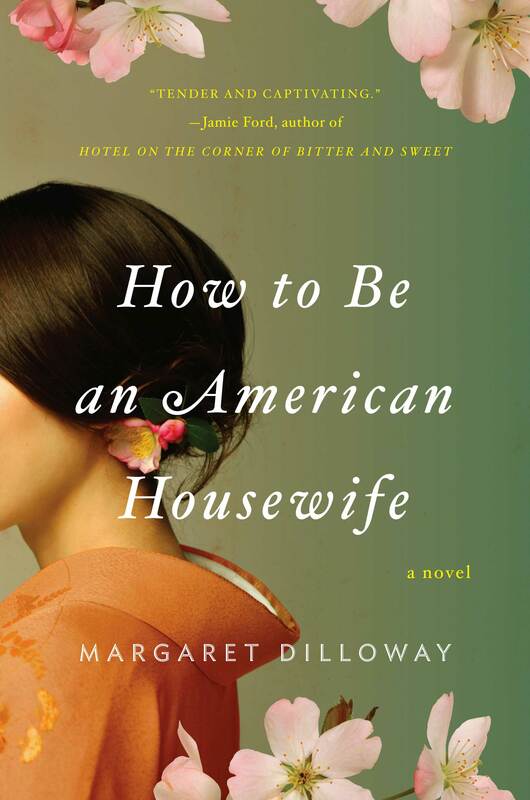 She is the amazing author of How to Be An American Housewife, on one of my top books of 2011 (post here) and my review here. My writing process has been a little bit different for each book, and I’d like to think I’m getting better at it each time. It used to be a lot more difficult. For example, when I began writing HOW TO BE AN AMERICAN HOUSEWIFE, I was on bedrest with my youngest—and then was in the midst of parenting three small kids—so writing is much easier now that they’re older and in school. The first thing I do is come up with a premise for the story. Then I summarize the story in a page or so. Next (or around the same time, it’s very fluid) I do any necessary research and write out a longer outline. For THE CARE AND HANDLING OF ROSES, I used the 60 Index Card method (find it on my blog) to write out each scene. By this point, after the research and outline and whatnot, I’ve been thinking about the book in some form for a month at least. When I sit down to write, it’s sort of gelled in my head already. I think that’s why the ROSES book took only about six weeks to write. It’s already taken longer thanthat for my third book and I’m not done with the first draft, but it’s more complex and has a historical element (a samurai woman) in it, too. It’s important to note that an outline mostly serves (for me, anyway) as a general road map. While I wrote, I found that some of my outline scenes didn’t feel right, so I changed them. For the next book I’m working on, the outline is almost entirely in my head, so it is yet another approach. My writing day goes like this: I take the kids to school, and then I come back, eat breakfast, mess around on the Internet for a half hour, then write. I write every day, even if writing feels like driving spikes into my eyeballs. I’m not precious about writing; I don’t need a garret and a bottle of whiskey and a visit from the muse. I believe you have to commit to doing at least a few sentences a day, and sooner or later, you’ll have a complete book. If I feel especially stuck, I go on a walk or to the gym and let my mind percolate the problem free. So sometimes I’ll write all day, and sometimes I’ll write for just a little while. I like listening to music as I write, and I’ll get into certain bands or songs that somehow help the flow of a particular character. For this samurai woman book, I’m listening to a lot of The Airborne Toxic Event and Florence and the Machine. My hands always get really cold when I type, no matter how warm it is, so I tend to drink a lot of tea. It’s been green lately. So nice to see two wonderful people in one place today!! Margaret, I’m going to have to check out your 60 Index Card method… I tend to loosely plot and I’ve used (and really love) Blake Snyder’s beat sheet. But this new story is defying my usual structuring methods and I think I need to add something else to help me focus. Enjoyed reading your post, and you know I’m looking forward to The Care and Handling of Roses! Wishing you both a great day :). Wow, I’m feeling inspired to write! Thank you for the insights. I especially like that you don’t need a garret and a bottle whiskey and a muse! Margaret is one of my favorite writers and has been an inspiration to me as an aspiring novelist. Thanks so much for featuring her and giving us the opportunity to learn more about her writing process.